Are you looking to hire a professional, experienced and reliable magician? 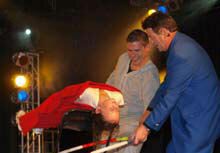 Hire a birthday party magic show specialist where your satisfaction is completely guaranteed. CLICK HERE to find out more about the service he can offer you! 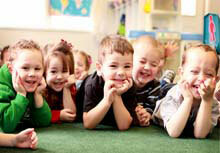 Quality pre-school magical entertainment devised specifically for kindergartens and play centres. 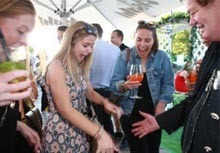 Engage your audience with Alan Watson a family stage magician to make your next event special. 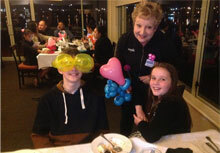 Balloon twisting is a creative way to make next special occasion very memorable for young and old. Many people have seen magic on TV but seeing it performed up close is breath taking. Performing breath-taking magic and the ability to relate to you guests while mixing and mingling with them. CLICK HERE to find out more about the service he can offer you. 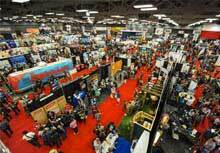 Make a lasting impression at your corporate trade show by promoting your product in a magical way. 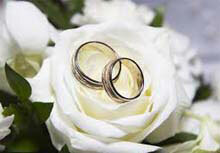 Looking for the perfect entertainment for the perfect day while having your photos taken? 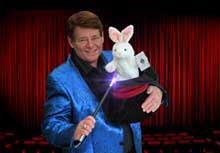 Alan is regarded by his peers as one of this country’s leading magicians. 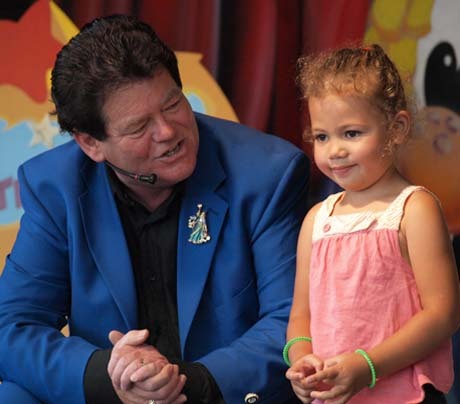 Whether performing for a family audience, a group of hard-nosed corporate executives at a trade show, close-up for restaurant guests showing how magic can be fun at a childrens birthday party, Alan delivers an entertaining, professional and captivating show everytime. "What a great performance you put on last night at the Variety Artists Club. I was totally mesmerized, along with the entire audience. I can see why you are so well respected by your international peers and considered a Master of Magic. 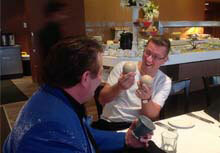 My lips are not sealed when I say, In my eyes you are New Zealand’s greatest magician”.